Joseph A. De Lopez is a Vice President with GovHR USA, and an experienced and professional public safety executive and consultant. He has over 41 years of progressively responsible experience covering the spectrum of police management, to include administration, policy development, training, organizational analysis, security risk assessment, expert witness testimony and executive screening activities. He was formerly the Vice Chancellor for Safety and Security for the City Colleges of Chicago. He was hired by the City Colleges in 2011 to coordinate the centralization and re-organization of the Office of Safety and Security. The City College of Chicago system is comprised of eight primary locations and six satellite locations serving a student population of approximately 120,000. These campuses are located throughout metropolitan Chicago, and are as diverse as the city itself. The Office of Safety and Security provides all the public safety needs of the City College system through the employment of a combination of off-duty and retired members of the Chicago Police Department, the Illinois State Police Department and the Cook County Sheriff’s Department. As Vice Chancellor, Mr. De Lopez developed a plan to transition the Office of Safety and Security to a State Certified Police Department. He also implemented procedures to standardize and integrate security technology solutions, and implemented numerous programs and policies to enhance the safety on all of the campuses. Mr. De Lopez also served as the Chief of Police in Winnetka, Illinois, a community of 12,500 residents 14 miles from downtown Chicago along the shores of Lake Michigan. He was hired as Chief in March of 2002. The Winnetka Police Department had a complement of 36 personnel, and a total budget of approximately $6.3 million. The Department has been nationally accredited by the Commission on Accreditation for Law Enforcement Agencies. During his tenure as Chief in Winnetka, De Lopez re-organized the Police Department, enhanced training of his personnel through a collaborative effort with Oakton Community College and the Northeastern Illinois Public Training Academy (NIPSTA), where he served in roles as President, Vice-President and as an Officer of the NIPSTA Foundation. Mr. De Lopez also had a distinguished 31 year career with the Chicago Police Department, rising through the ranks to become Deputy Superintendent. As the Deputy Superintendent of the Bureau of Technical Services for the Chicago Police Department Mr. De Lopez commanded a bureau that was comprised of the police department’s Communication Division, Electronics and Motor Maintenance Division, Evidence and Recovered Property Section, and General Support Division. His duties included coordinating police communications issues and needs with the Chicago Office of Emergency Communications, which included the city’s Alternate Response Program. 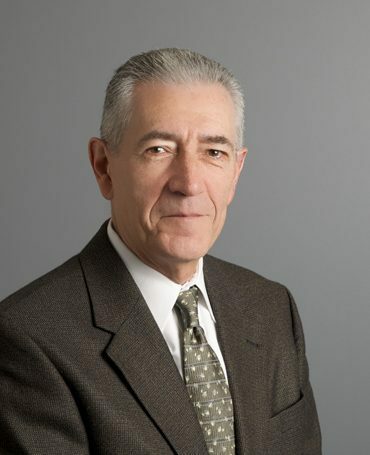 Mr. De Lopez has also been qualified as an expert witness in Federal Court for police operations and administrative matters, and has served as a promotional and executive search assessor for the International Association of Chiefs of Police, Metro Dade Police Department, Illinois State Police, Cook County Department of Personnel, and the Chicago Police Department.